To request a youth education program, click on the link below that corresponds to your grade level. First time users will need to create a free account in Engage using your name, phone number, and email. Inquiries from college and adult groups should be directed to dXRpbGl0aWVzZWR1Y2F0aW9uQGZjZ292LmNvbQ==. Become a secret agent investigating a tricky suspect—energy! Our secret agent training class consists of 3 major activities that focus on light, heat, and electricity. Students will use tools like light meters, laser thermometers, and Kill-a-watt meters to uncover the clues to find energy even when it’s disguised in concepts like magnets and phantom power. This interactive program allows students to make their own energy discoveries based on independent measurements, while also working together as a class to understand the importance of energy conservation. Do you know where your energy comes from? In this program, students will go on ‘energy hunts’ around the room to find hidden items that represent coal—Fort Collins’ most widely used source of fuel. We introduce the other common energy sources in Fort Collins to the quest to illustrate the concept of renewable vs nonrenewable sources of energy and encourage students to ask questions and hypothesize about the future of energy in Fort Collins. How does water make electricity? 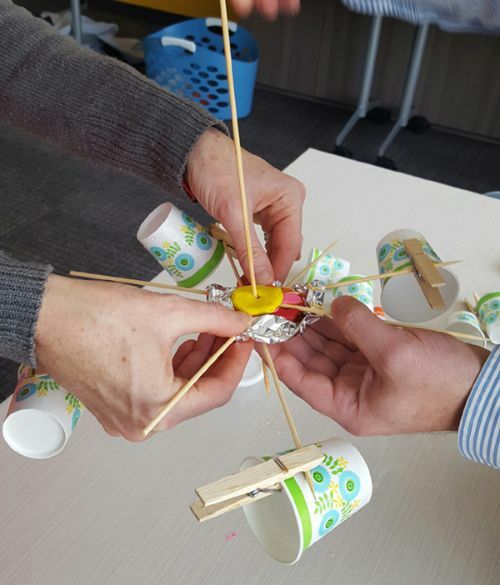 In this design challenge, students will explore the connection between water and energy by discussing the components of a successful hydropower wheel and using a variety of materials to construct the most efficient turbine. Students will work in groups to improve their designs throughout the class, while exploring thought-provoking questions to learn about the prominent energy sources used in Fort Collins. Join other PSD schools in a citywide four week-long energy saving competition! 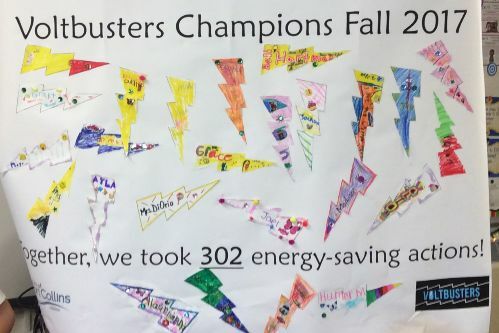 Students will become Voltbusters by earning points for energy saving actions in their school and at home. The areas of focus are lighting (K & 1), heating/cooling (2 & 3), and computers/electronics (4 & 5). We supply all of the materials, information, and optional extension activities to engage the students and promote energy conservation awareness. 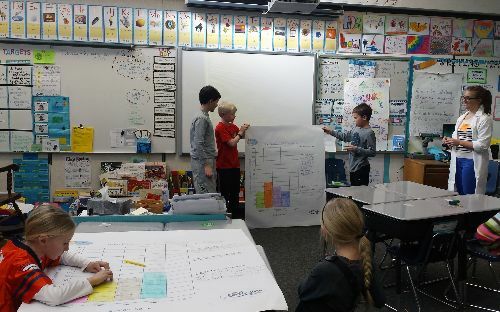 Be the class, in each category, with the most points at the end of four weeks to receive a special Champions program from the Fort Collins Utilities Education Team. Learn how to harness the wind in this interesting and fun engineering challenge! Using a three foot tall wind turbine, a multimeter, and a variety of turbine blades and weights, students will investigate the most efficient design of a wind turbine and the factors that determine its success. The class will analyze the results of the challenge to learn more about Fort Collins’ largest source of renewable energy! How waterwise are you? By playing interactive games and discussing individual water habits, Dr. Waterwise teaches students water conservation behaviors. Students gain awareness of our drinking water sources, how water is consumed, and why it is important to reduce our use! In this short, fun lesson, students become a water droplet and take a journey through the water cycle. With a roll of the dice, students travel to the ocean, the clouds, or even the roots of a plant. Students learn that water can be found everywhere by comparing their journey to their classmates’. This program is a check-out kit. Think Outside the Drop! Raindrops pick up chemicals, oil, leaves and branches, and dog poop and carry them to our rivers, lakes, and streams. We can all help keep our water clean by keeping pollution out. Just Passing Through introduces stormwater and pollution prevention, comparing natural and manmade wetland filters through an interactive game. The group will experience the flow of stormwater from raindrops as it crosses the landscape on its path to a stream and discover how plants slow the flow to prevent flooding and water pollution. Treat water right! Water from the toilet, sink, washing machine, shower, and dishwasher drains to wastewater reclamation facilities. Scrubbing Sludge demonstrates the steps Fort Collins Utilities takes to clean wastewater and return it to the water cycle. Natural and man-made water filtration systems have many common components and play important roles in maintaining water quality. In the program, students will compare natural water filtering systems with man-made ones through hands-on demonstrations and creating their own natural system simulation. Discover how Fort Collins treats water right. 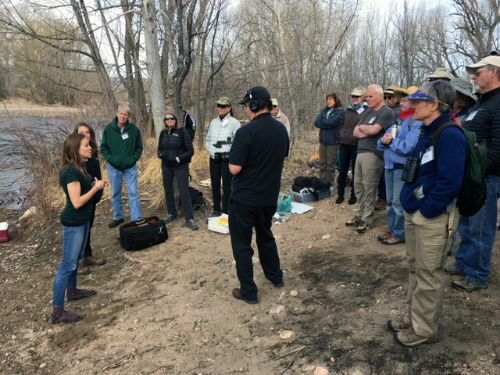 How would you give a grade to the Cache la Poudre River? 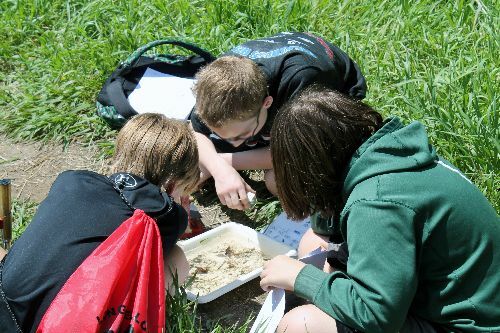 Inspired by the recently published Poudre River Report Card, our new Watershed Field Trips allow students to be water scientists and assess all aspects of the river. From the riparian corridor to the shape of the river, to the life and chemistry within the water, students will discover what makes a river healthy and why that is so important. Watershed Field Trips can be tailored to any age level and are great experiences for both classroom and business team building! *Please note that Watershed Field Trips are dependent upon adequate weather and river conditions. Does it really matter if you turn off the light or take a shorter shower? We’ll guide you through a fun design challenge that encourages teamwork and communication and demonstrates the power of small actions to make a big impact on our planet! There are many solutions to climate change—which ones will you choose? Take on the role of City Council members as you learn about and debate different local and global strategies for reducing greenhouse gas emissions. Ultimately, you’ll create and present your own plan for reducing our emissions to 80% below 2005 levels by 2030. Inspired by the popular TV show, Climate Shark Tank makes talking about climate change FUN. We’ll discuss our City’s climate goals, introduce innovative local and global strategies for reducing emissions, and give your students the chance to make the perfect “pitch” for switching to LED lights or building green rooftops. This program is perfect for creative and competitive groups—sustainable prizes are on the line! Join the Litterati! The Litterati app combines technology and photography with a trash pickup to get students inspired to make a difference. Participants photograph and tag the trash they find, building awareness around sources of litter in the community. We’ll provide education on the impacts of trash on our planet and our local natural resources. This program is great as a companion to our Watershed Field Trips, or as a stand-alone program! It’s time to put your students’ sustainability ideas into action! Project 2020 empowers students to pursue their own projects that help us reach our Climate Action Plan goals through energy conservation recycling, saving water, and more! We offer activities that help your students refine and implement their ideas, and may be able to assist with funding projects. Make presentation requests for non-profit groups, clubs, organizations, events, and more. Efficiency Works-Business, in partnership with Fort Collins Utilities, provides monthly technical trainings on a variety of topics, including lighting, HVAC, office efficiency, emerging technologies, building envelope and solar. Choose your own Utilities adventure with an educational bus tour of Fort Collins Utilities’ water or energy supply systems. How would you give a grade to the Cache la Poudre River? 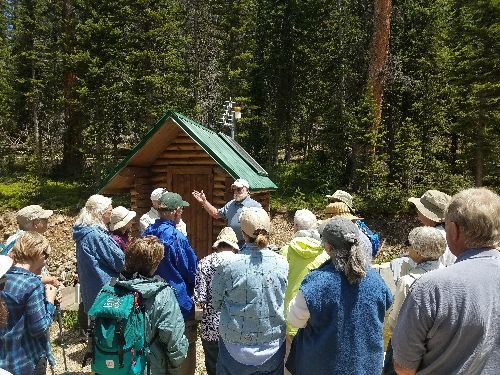 Inspired by the recently published Poudre River Report Card, our new Watershed Field Trips allow you to be a water scientist and assess all aspects of the river. From the riparian corridor to the shape of the river, to the life and chemistry within the water, your team will discover what makes a river healthy and why that is so important. Watershed Field Trips can be tailored to any age level and are great experiences for team building!